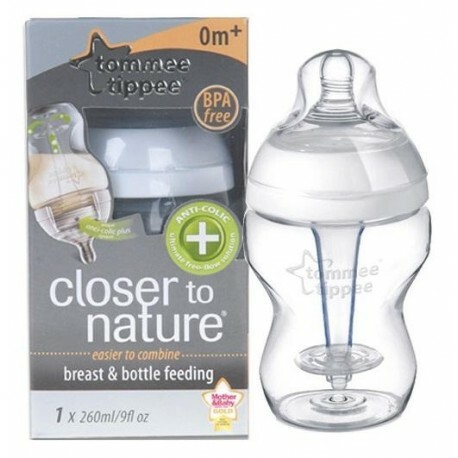 Innovation that puts baby at ease. 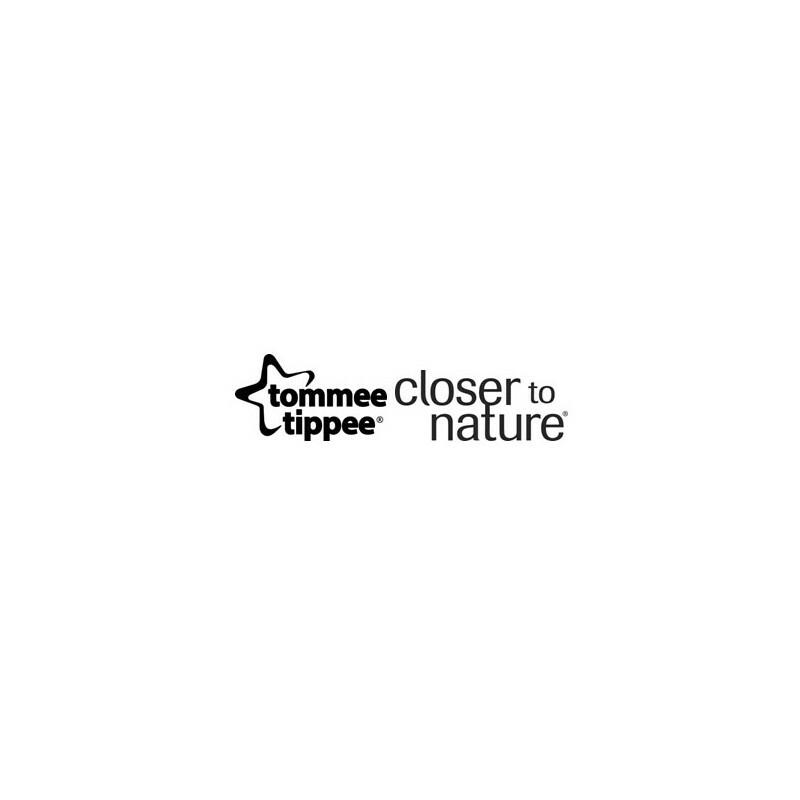 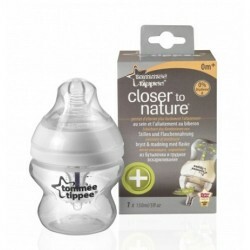 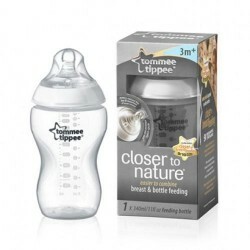 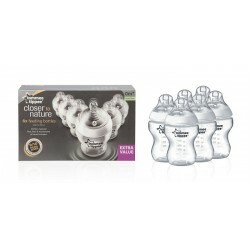 The Tommee Tippee Closer to Nature Anti Colic Plus Bottle has been designed with a super sensitive valve that provides optimum venting during feeding and is effective against colic. 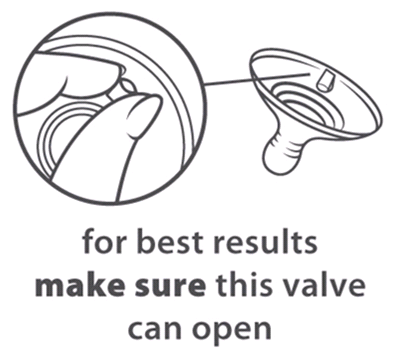 The valve should be pinched apart prior to use to ensure proper venting. 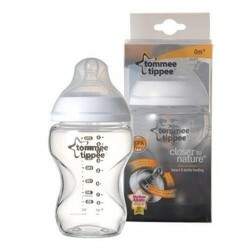 The Anti Colic Plus Bottle also contains a heat-sensing tube to safely check if milk is too hot to feed. 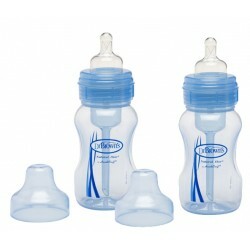 Blue indicates that it is safe to feed and pink indicates that the milk is warmer than the recommended 37C. 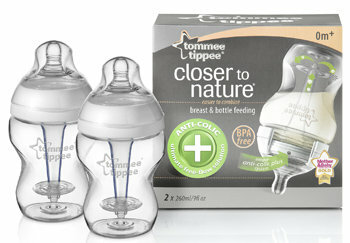 The anti-colic plus teat has a unique, easy latch-on shape made from soft natural feel silicone, which mimics the natural flex, movement and softness of a mum's breast. 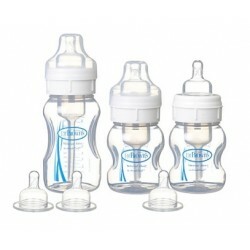 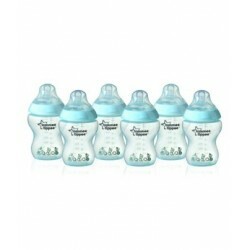 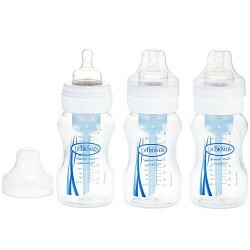 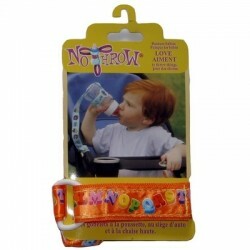 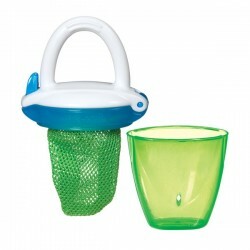 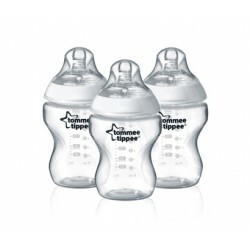 Only the anti-colic teats can be used with the anti-colic straw and bottles. 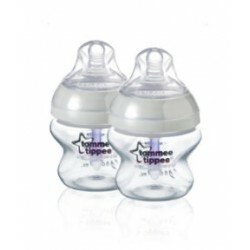 Please be aware that using standard teats will result in leaking and may prevent your child from feeding in a controlled manner. 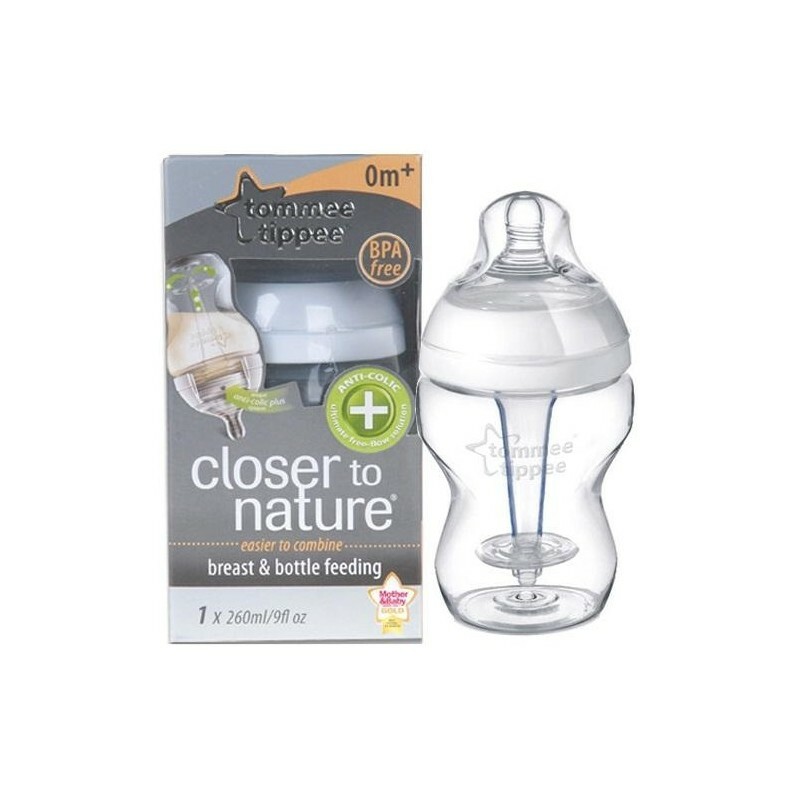 For more information on correct assembly and instructions for use, please see the assembly guide here and the instruction manual here. 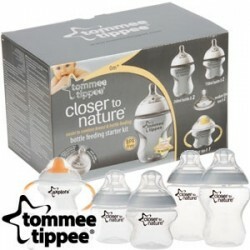 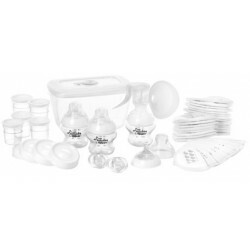 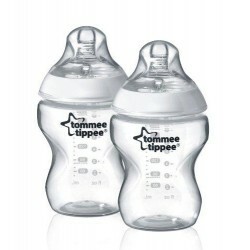 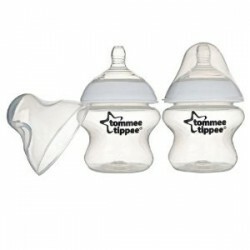 Tommee Tippee, from the UK -based Mayborn Group Limited, is the number-one brand of baby feeding accessories in the UK and one of the top brands of infant products and accessories in the global market. 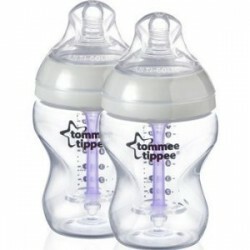 Loved by parents and children alike, Tommee Tippee has received numerous brand accolades in Great Britain, including top ranks in the prestigious Mother and Baby Awards, a head-to-head assessment of competitive products voted by mums themselves.